It all started on the farm. Paula Foore, an organic farmer, and Carla Crownover, an avid gardener and local food advocate, cultivated much of their relationship at the beloved Springdale Farm in East Austin. 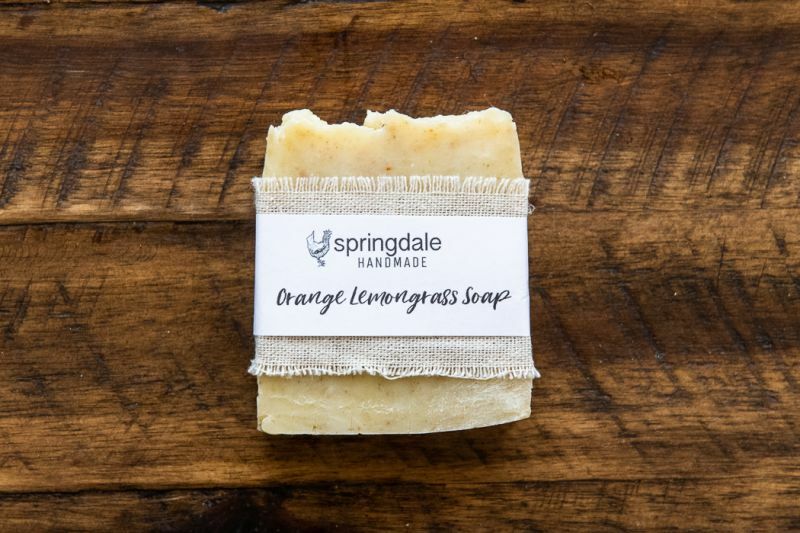 In addition to running the farmstand and overseeing production, Carla and Paula collaborated on Springdale Handmade, making soap for friends and family from ingredients inspired by and found on the farm’s property. When Paula and her husband, Glen Foore, sold Springdale Farm this past summer and Eden East took over production, Springdale Handmade moved operations to Carla’s home, fondly named ‘Springdale West’. All of their products use only natural fragrances and essential oils, inspired by garden-grown botanicals and herbs. Paula and Carla also use goods made by local artisans to infuse their products including Austin Honey Company, Lost Pines Yaupon Tea, Third Coast Coffee, Austin Coffee Traders and Zhi Tea. Their body butters, scrubs, salves, bath products, and candles are handcrafted to complement the soaps and only use the highest quality ingredients possible. Carla and Paula mix up recipes for their Rose Tea Soap Bar. For the soaps and salves, unique ingredients and oils are sourced for each individual product. Rose clay, goat milk, natural beet color, and dried loofahs inspire a variety of their popular products. Natural herbs and dried flowers are steeped in oils for months at a time. 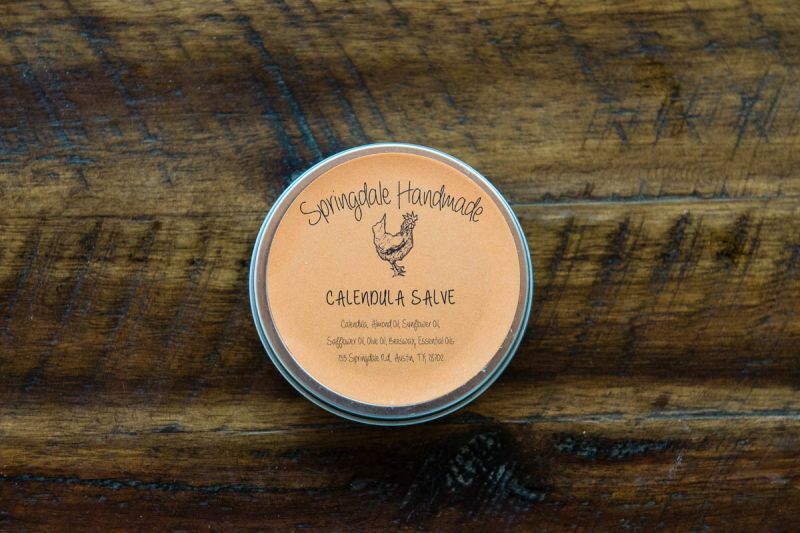 Everybody loves this one – Calendula flowers are harvested, dried, and steeped in oil for months prior to packaging for their popular Calendula Salve, a soothing and moisturizing cure-all.